I am writing this in Nazareth (Nazareth!) where we spent Friday night in a gorgeous old renovated mansion — once the home of a wealthy Arab, today half hostel, half hotel, all hospitality. The sound-proofing is not so good, but even listening to very earnest and very, very young English-speaking students solving the world’s problems until the early hours had its charm. This morning I can see the rooftops of the town from our window. It is going to be a lovely, sunny day. 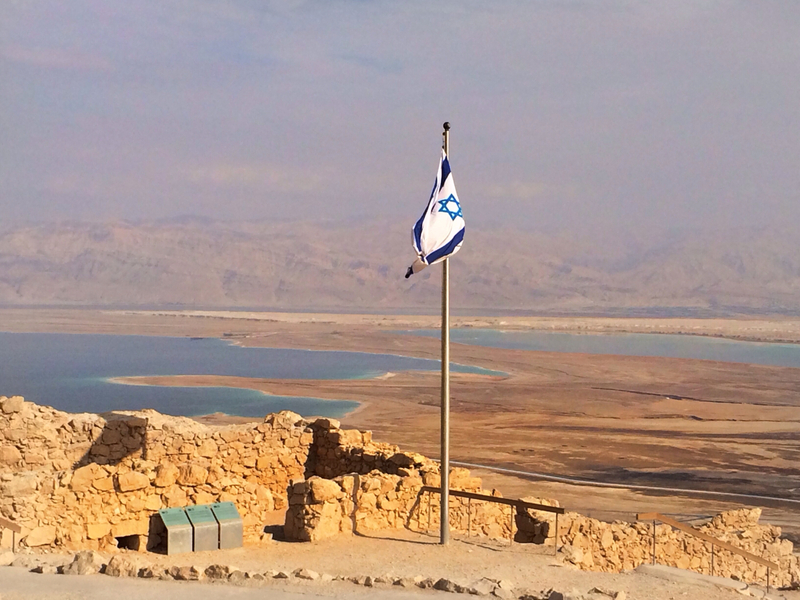 Yesterday started with a drive from Jerusalem to Masada, a ruined palace high on a hill overlooking the Dead Sea. Amir’s storytelling painted it with vivid color, from its days as Herod the Great’s desert retreat to its role as refuge for a small band of Jewish rebels who chose mass suicide over capture by the Roman soldiers who stormed their mountain. 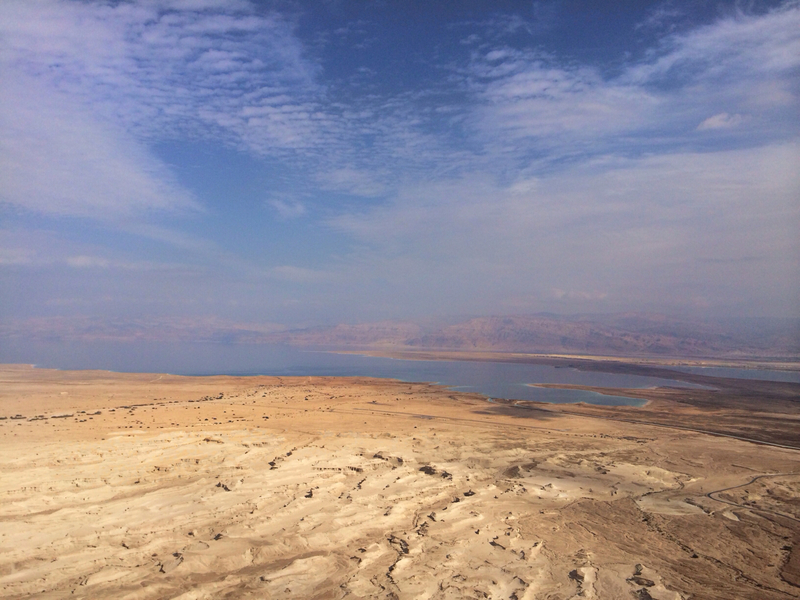 The views of the vast desert and the shimmering, lifeless sea with the his of Jordan beyond were breathtaking. From there we went swimming. Or floating, should I say? I am always a cork — I pop to the surface of the water no matter how I try to stay submerged and I can float on my back and read a book without getting it wet if I want. But the Dead Sea and the mineral baths there are something else again. You relax into the water like a billowy cushion that cradles, supports, and gently rocks you to a blissful state of oblivion. You have to fight to pull yourself out of it — both physically and psychologically. It was great. 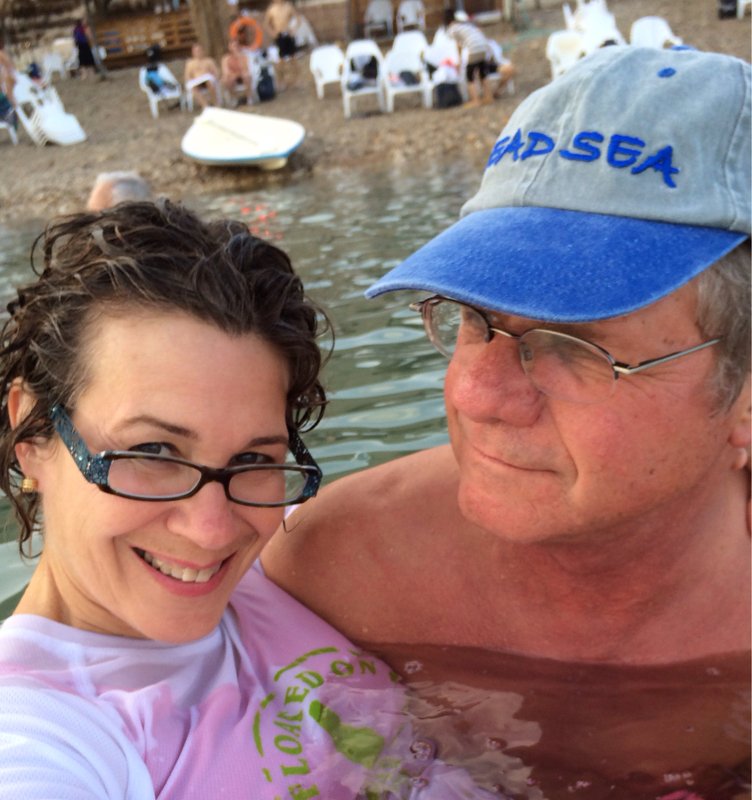 Once we sluiced the sticky salt off our bodies we got back in the car and headed to Nazareth. We haven’t seen too much of it yet, but the city is developing a reputation as a food city and we had an absolutely splendid dinner at Alreda. The setting is magnificent — a 19th century mansion with high, arched stone walls, wooden tables, and friendly service. The food is even better — Arabic cuisine with a modern touch. We had a warm eggplant salad — “stolen eggplant” they call it in English which is a mistranslation, but an endearing one. It is fire roasted eggplant dressed with tahini, covered with diced white cheese, and that description comes nowhere near to describing the blend of fabulous flavors. Also the “Baby Salad” — baby greens with citrus and pistachios and that doesn’t do it justice either. Both salads were magic. 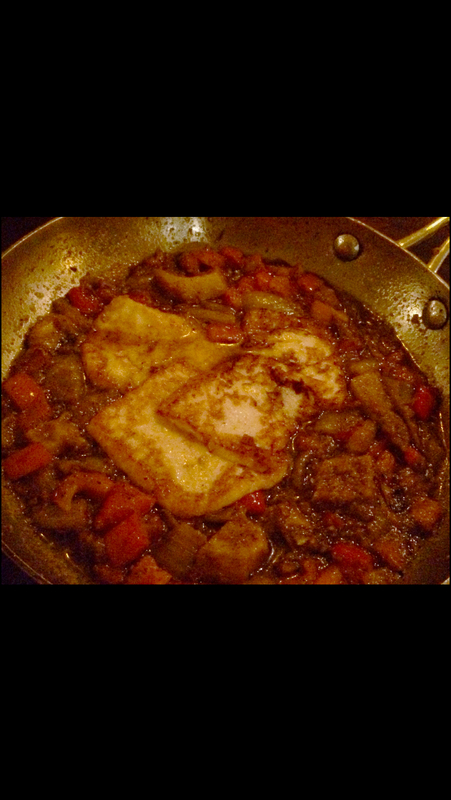 But even more magical was my favorite dish of the night –a cheese “steak,” slabs of white goat cheese with a haloumi-like consistency, baked in a copper pan with oil and vegetables and spice I could not identify. 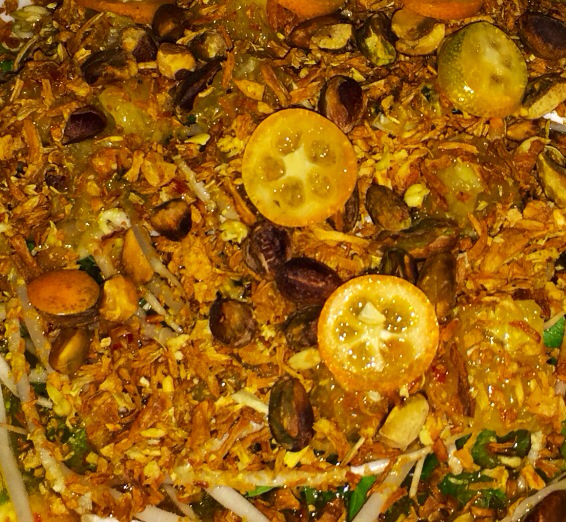 It was one of the best things I have ever eaten — exotic and unctuous and vaguely familiar. It reminded me of an afghan mushroom dish I love that is filled with garlic and cilantro. Anyway, it was truly special. We also had lamb stuffed artichokes for the meat-eaters, with heavenly fragrant rice, and a flatbread with vegetables and cheese that was wonderful but by then I was getting just a tiny bit full. But not too full for dessert. We had something that translated roughly to “17 secrets cream” and was a custardy affair in a nutty syrup. A little soupy, not too sweet, very delicious. And then a starlit stroll through narrow Nazarene streets to our own mansion home for the night. Another phenomenal day of this phenomenal trip. One more to go.